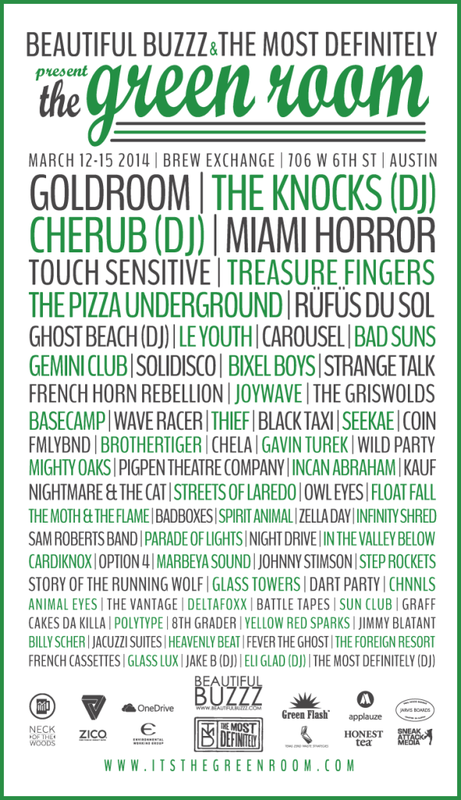 In March of 2014 we partnered with Beautiful Buzzz to produce the first ever Green Room at SXSW. The unofficial event which attracted over 10,000 concert goers featured 90 bands across two stages over four days. Brand partners included: Microsoft, Green Flash Beer, Coca Cola, Applauze, Honest Tea and Zico.